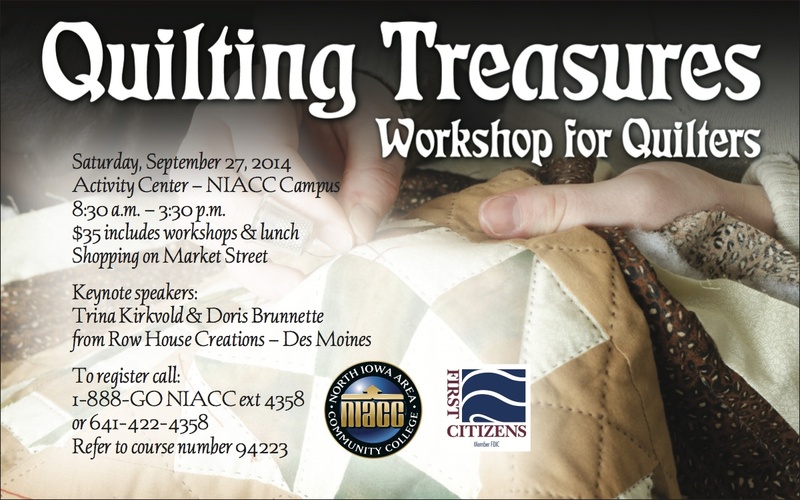 If you are near Northern Iowa, you might want to consider signing up for NIACC’s Quilting Treasures: Workshop for Quilters on Saturday, September 27, 2014. To register, call or email the contact information on the image above. 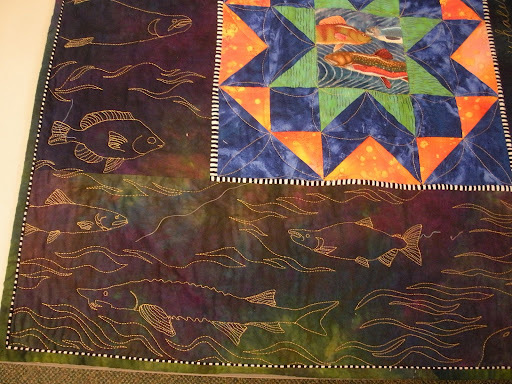 And I’m supposed to be moving to a new town home somewhere in the midst of all of this… wish me luck! 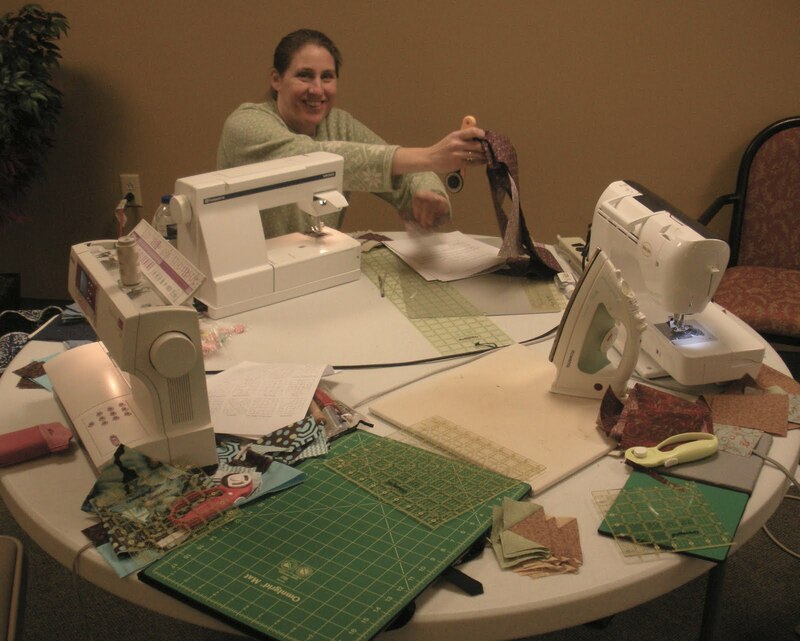 JoAnn has a fun sense of humor, a great eye for color and believes in efficient sewing (don’t pick up your ruler to cut if it doesn’t have to be exact, make all your cuts while the rotary cutter is in your hand instead of constantly setting it down and picking it back up, string piecing, etc.) 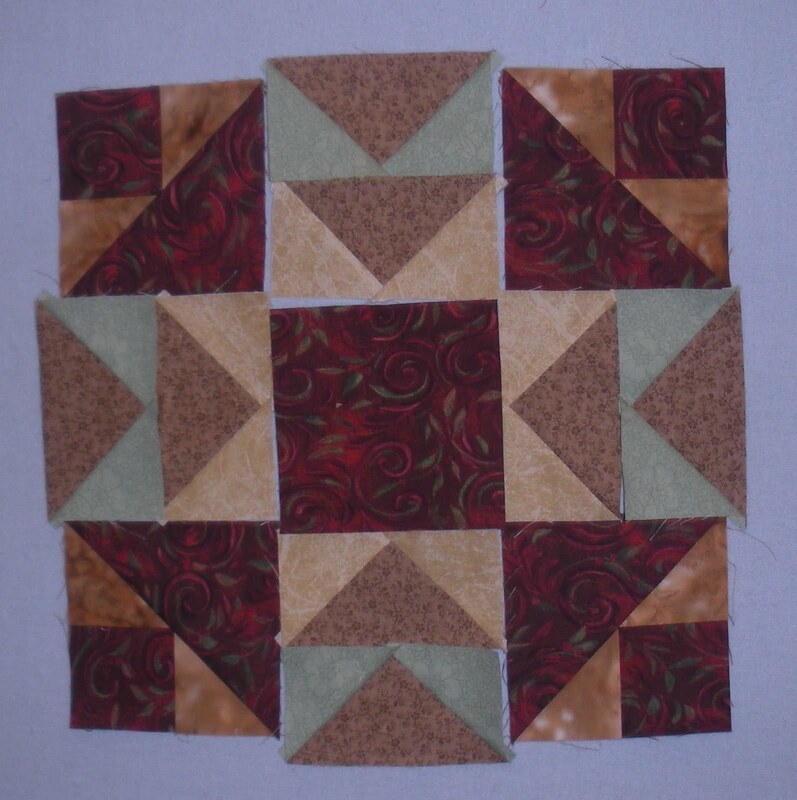 She showed us a nifty way of making four flying geese at one time, which I loved! 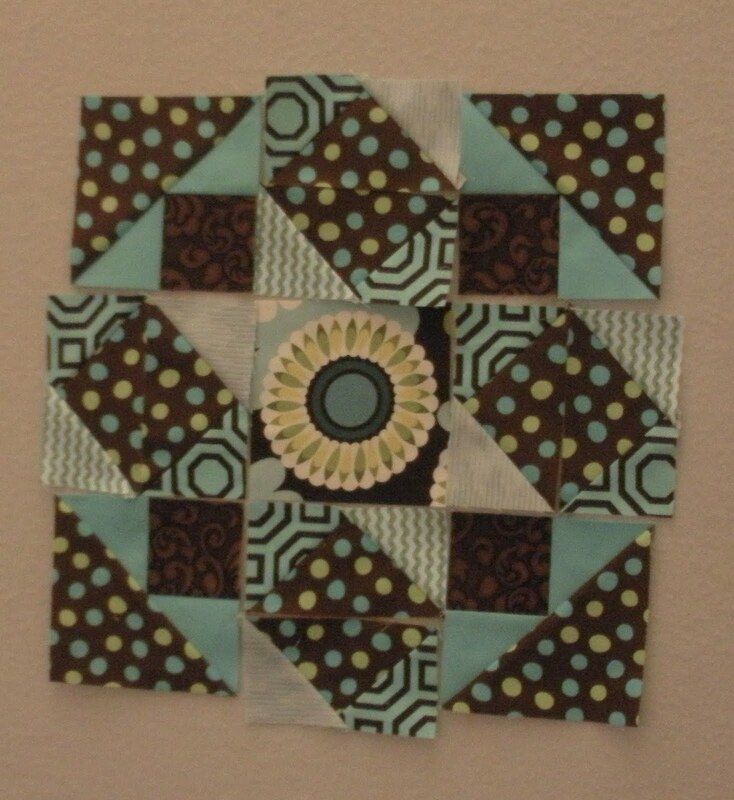 I know there are tutorials around the web for doing this, but if you’d like one I will add it to my to-do list to post one. 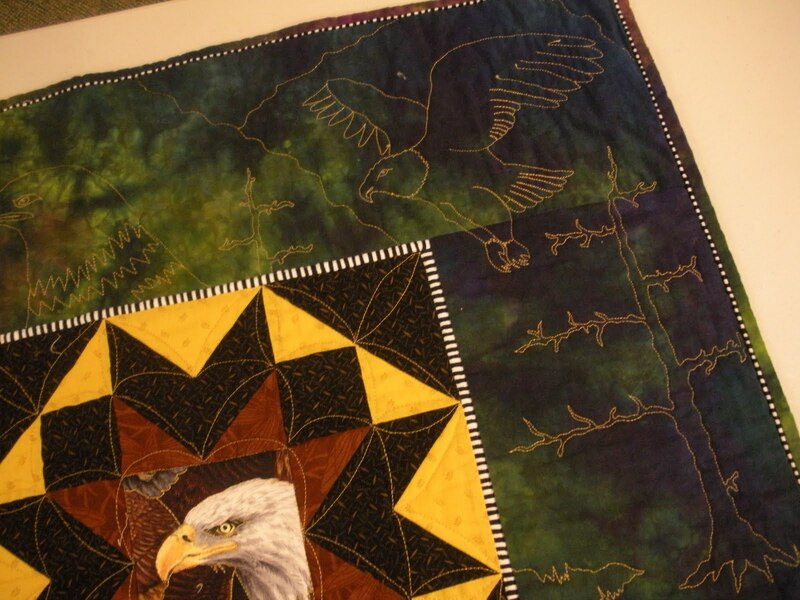 The workshop objective was to teach us a quick way to make her “Flying Geese in a Brave New World” block in the quilt, Alaskan Memories, shown above. 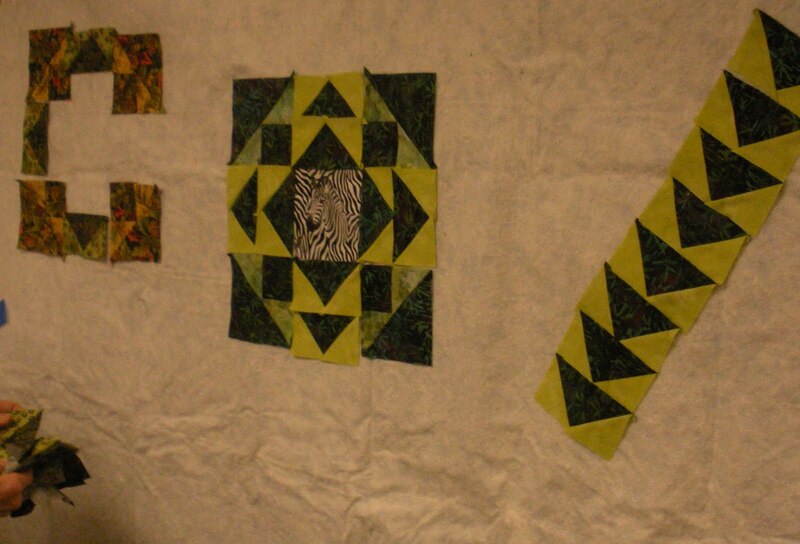 She also encouraged us to see new patterns in the block, playing around with placement to make new block designs. 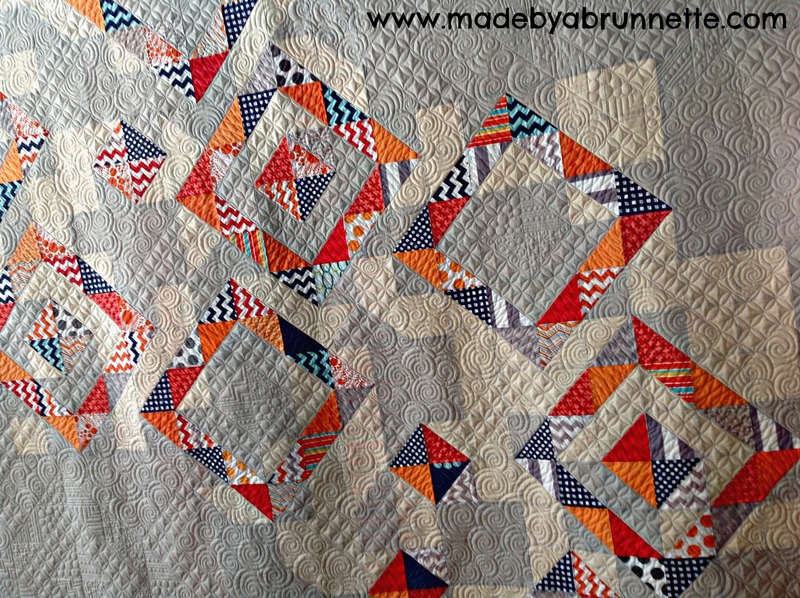 Tonight, I’m heading off to a quilting retreat hosted by the quilt shop I work part-time for… Only one more hour of my workday left and then two+ days of sewing with good friends!